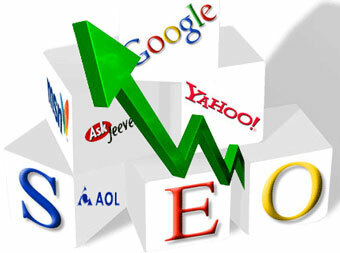 Every website owner wants their website to have high search engine ranking. The reason is simple. The higher your search engine rank, the more traffic you will get. The more traffic you will get, the more profit your will earn. But, sometimes, you might be puzzled about the reason why your website is ranking miserably low in Google Search. Well, you are not alone; this is in fact a major problem experienced by many website owners. Keyword targeting is very important for your website. For your information, people are searching the internet with keywords. They type certain keywords in the search engine and expect it to bring the result related to the keywords they’re typing on. So, if your website content is not optimized for certain keywords, then it means that you can’t bring people to your website via the search engine. 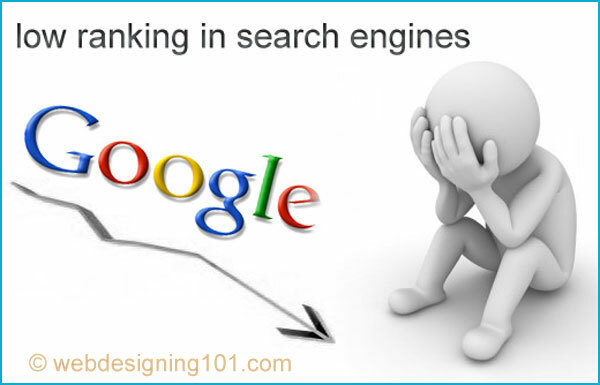 This will explain why you have very low search engine ranking. 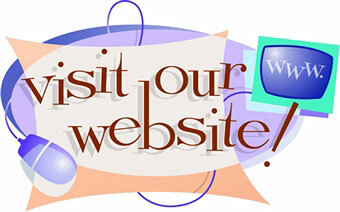 Your website template will help the search engine spiders to access your website quickly. If you have clean, quick, and optimized template, then your website will be indexed quickly by the search engine. So, your website template will affect how quickly your website is getting indexed by the search engine. Low quality template or free template will usually make it difficult for your website to reach high search engine ranking because the coding of such template is not designed or optimized for the search engine. Search engines are trying their best to bring the best result for their users or searchers. When users search certain keyword phrase, they will try their best to bring the most relevant and high quality result possible to the users. Why? That’s because they want their users to trust them in finding information online. If you are publishing low quality content in your website, you have very little chance to reach top search engine ranking because search engines won’t be willing to give their users low quality search result. If your website is cluttered by ads, your ranking will get affected negatively. First of all, ads can make your audience feel annoyed with your website. For instance, if the users want to get something from your website but you keep feeding them with ads, they will most likely leave your website quickly. This will contribute to a bigger bounce rate in your website. Then, search engine will regard your website as low quality because of the fact that you have high bounce rate. So, if you have cluttered your website with too many ads, you can’t expect to get good traffic from the search engine. What’s the main component of your website? What makes your website alive? It is your content. Think about it. Your content is what people will seek from your website. People don’t come to your website because they want to adore your website template. They are seeking your content. They want to read, watch, or listen to your content. So, if you never update your website, then it means that your website is dead. Search engines are not attracted toward a dead website. These are the reasons why your website has low SE ranking. If you want to improve your website rank, be sure to understand the reasons above; and you can start the improvement process by fixing these mistakes. SEO Basics – What Is SEO? Cloud Hosting vs Traditional Hosting: What’s the Right Choice? WordPress vs. Blogger (or Blogspot): Which One Offers Better Blogging Experience? Why Is WordPress Good for Website Design? Writing a Sales Copy that Sells: What Elements Should You Focus On? How Good Is Cheap WHM VPS Hosting? Web Designing 101 Copyright © 2019. Disclosure: We accept compensation from companies whose products we review or recommend. We review each product thoroughly and recommend only those which we feel are best for our readers. We are independently owned and the opinions expressed here are our own.